The compact AC4868-250 868MHz transceiver can replace miles of cable in harsh industrial environments. Using field-proven technology which needs no additional CE licensing in Europe, OEMs can easily make existing systems wireless with little or no RF expertise. The AC4868-250 is a member of Laird's ConnexRF OEM transceiver family. 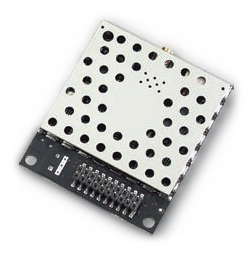 The AC4868-250 is designed for integration into OEM systems operating under European ETSI regulations for the 868 - 870 MHz band.